Will Your Indian Railways Waitlist Ticket Be Confirmed? 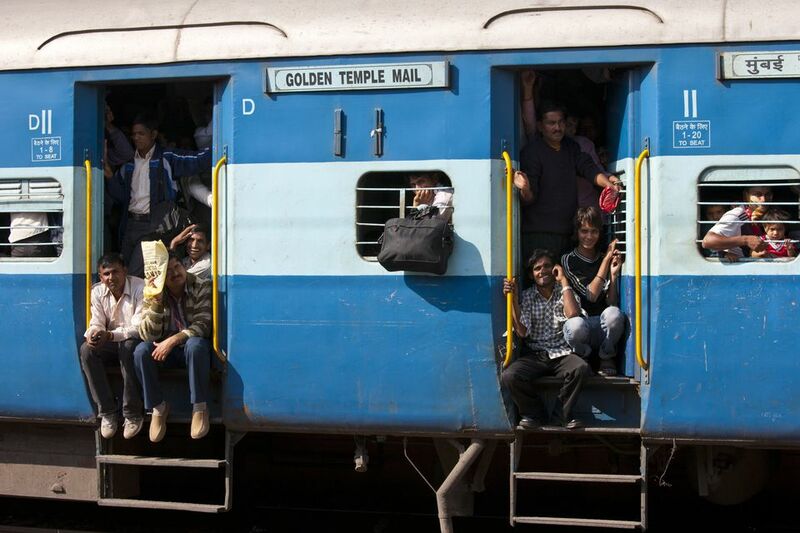 Anyone who's traveled quite a bit on Indian Railways trains in India has no doubt had a Waitlist (WL) ticket. The Waitlist facility allows you to book a ticket but doesn't provide you with a seat or bed (berth). You aren't supposed to board the train unless there are enough cancellations to at least advance to RAC (Reservation Against Cancellation) status. How do you know if there will be enough cancellations? Or how do you know if you will get a confirmed ticket? Unfortunately, it can be hard to predict. Some trains have more cancellations than others. In addition, some carriages (such as sleeper and 3A) have more seats than others. Not knowing if you'll be able to travel makes it hard to plan the rest of your trip. There are a few easy ways to find out the likelihood of your Waitlisted ticket being confirmed (or even advancing to RAC status). And they're fast, free, and reliable. On May 29, 2018, Indian Railways unveiled its new-look website that has a Waitlist prediction feature built into it. The feature's algorithm, developed by the Center for Railway Information Systems, analyses booking data from the past 13 years to make the predictions. Indian Railways says its predictions will be the most reliable because they have the advantage of using official information direct from its database. The predictions can be accessed by clicking on "CNF Probability", after logging onto the website and entering travel details. Go to the India Rail Info website and sign up. Go to the PNR Forum tab. Enter your PNR (passenger reservation number) where specified and click on "Post PNR for Prediction/Analysis". It will automatically retrieve the details of your booking and post them on the forum. There's a huge experienced membership that's made hundreds of thousands of predictions (with a 75% accuracy) about whether tickets will be confirmed. The website is a fantastic source of information about Indian Railways trains (including delays and arrival times), so you're likely to find it helpful in many situations. This handy software automatically calculates the likelihood of Waitlisted tickets being confirmed. The ConfirmTkt algorithm analyses past ticketing trends and predicts your ticket confirmation chances. The app is available for Android, Apple and Windows devices. You can also enter your details and get a prediction on the ConfirmTkt website. What's more, it's possible to easily explore seat availability on all trains and find possible alternatives of booking a confirmed ticket. Highly recommended and invaluable! Similar to ConfirmTkt, Trainman also runs on an algorithm that predicts whether a Waitlisted will be confirmed or not. It has a user-friendly interface and provides a percentage chance of confirmation, plus the platform number that the train will arrive on. Users have reported that its predictions are more optimistic than ConfirmTkt, but are usually correct. In addition, its predictions tend to be more accurate for south Indian trains than north Indian trains. Alternatively, ConfirmTkt is better for north Indian trains. A bit of knowledge about how the Waitlist system works helps in being able to predict the likelihood of getting a ticket confirmed. It's a complex system and not all waitlists are equal! Factors such as rate of cancellations, type of waitlist, quotas, frequency of trains, distance covered, and of course class of travel will all have an impact. When you go to book a Waitlisted ticket, it will show two numbers. For example, WL 115/45. The number on the left indicates the length that the waitlist has gone up to. The number on the right indicates the current position of the waitlist. In the example, there have been 70 cancellations so far, and there are 45 people ahead of you on the waitlist. This gives you an idea of the rate that people cancel their tickets and how quickly (or slowly) the waitlist will move. Your Waitlisted ticket will also show two numbers. For example, WL 46/40. The number on the left is your position on the waitlist when you bought the ticket. The number on the right is your current position on the waitlist. The time that you're scheduled to travel will have considerable impact on whether or not you'll get a confirmed ticket. People are less likely to cancel tickets during festivals, on weekends, on overnight journeys, and on long-distance trips (especially when trains run less frequently). It's important to note that there are different types of waitlists, based on quotas for specific locations. GNWL is the General Waitlist, for passengers traveling from the originating station or nearby. It has the most seats and therefore the best chance of confirmation. RLWL is a Remote Location Waitlist for stations along the route. Less seats are allotted under this quota, resulting in less chance of getting a confirmed ticket than the General Waitlist. PQWL is a Pooled Quota Waitlist that covers small stations that aren't under general or remote location quotas. PQWL has among the least chance of confirmation and doesn't have a Reservation Against Cancellation facility. In addition, Indian Railways trains have various quotas set aside for specific individuals. These include Foreign Tourists, Ladies, Physically Handicapped, and Defense Personnel. The quotas can take up a large block of seats. However, they don't exist on all trains. It's possible to check the number of seats kept aside for various quotas on the India Rail Info website under "Availability" of each train. While waitlists are cleared continuously and automatically, a significant re-allotment of tickets happens during chart preparation about four hours before departure. This is when you'll find out whether or not for sure your ticket is confirmed. If the train's quotas don't get filled (which is often), the empty seats are released to the general public on the waitlist when the train's chart is prepared. A final chart preparation is carried out 30 minutes before departure and there may be adjustments from last-minute cancellations at this time, resulting in further confirmed tickets. If your ticket remains waitlisted after chart preparation and you booked it online, it will be automatically canceled and your money refunded. Indian Railway has introduced a new Vikalp scheme whereby passengers who remain waitlisted after chart preparation can be allotted a confirmed berth on an alternative train at no extra cost. This is designed to utilize vacant seats in premium trains such as Rajdhani and Duronto trains. Passengers may be transferred to a different train departing anywhere from 30 minutes to 72 hours after the scheduled departure of their original train.